Word is slowly getting out about traveling in Colombia. While many still mistakenly associate the country with only crime and violence, Colombia’s problems have long been on the wane, and today it is ready to receive visitors once again. As its tourism board says, “the only risk is wanting to stay”! Colombia has an dizzying number of sights and points of interest, previously inaccessible or in ill-advised areas but now ready to be explored. Colombia’s geography is so diverse that you could think of it as a big South America taster menu, offering tons of variety in an area that’s about twice the size of France. Not only that, but the country has a wonderfully vibrant culture, and its people can be heart-achingly welcoming. I’ve gone backpacking in over 55 countries, and Colombia is one of my personal favorites. Variety in climate and topography. Colombia has it all: a Caribbean and a Pacific coast, lush jungles, vast deserts, the start of the Andes range and a big slice of the Amazon. It’s almost like a compressed version of South America as a whole, with a different environment only ever a bus ride away. Brimming with culture. Colombia has a strong cultural identity, and its cities (notably Medellin and Bogota) are among the most booming and cosmopolitan on the continent. It’s fascinating to learn about its often dark history, but you’ll be equally intrigued by Colombian life today. Amazing biodiversity.Colombia has some of the highest biodiversity on the planet and is home to countless species of birds, fish, mammals, etc. 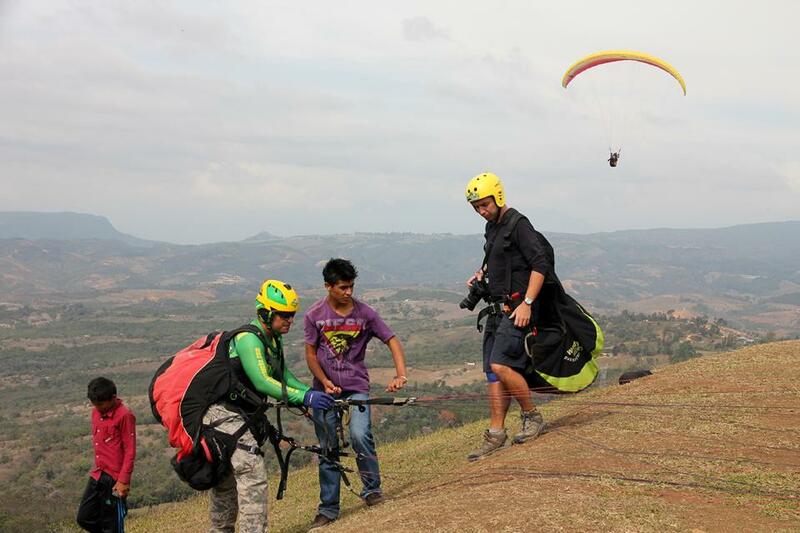 making it an excellent destination for activities like trekking and scuba diving. Great for budget travel. 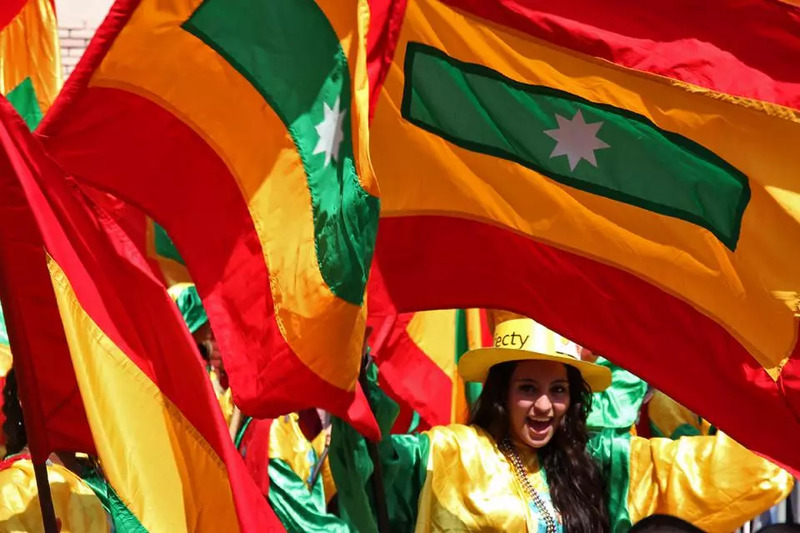 Colombia is not quite the cheapest country in Latin America but not the priciest either. Bus travel is affordable and comfortable, and low-budget domestic flights are available via carriers such as Viva Colombia. There is an emerging backpacking circuit, with hostels and other low-cost accommodation in ample supply. Nearly a third of Colombia is covered by the Amazon rainforest and is not easily accessible. When looking at a map of Colombia, you’ll find that most places to see are in the west and north. I’ve highlighted a few of the top places to visit on the map below. In the north of Colombia, you’ll find the old colonial city of Cartagena, which has long been the country’s main tourist draw (even during the bad years). The north also has the city of Santa Marta, which is not so notable in itself, but it makes for a good launching point for exploring the beautiful Tayrona National Park or for doing the Lost City trek. The town of Taganga, a short ride from Santa Marta, is Colombia’s leading destination for scuba diving and is also a bit of a backpacker party hub. In the middle is San Gil, which is Colombia’s adventure sports capital (with paragliding, wild water rafting, caving, etc.). Here you’ll also find Colombia’s second largest city Medellin, which is a fascinating place that you definitely shouldn’t skip. 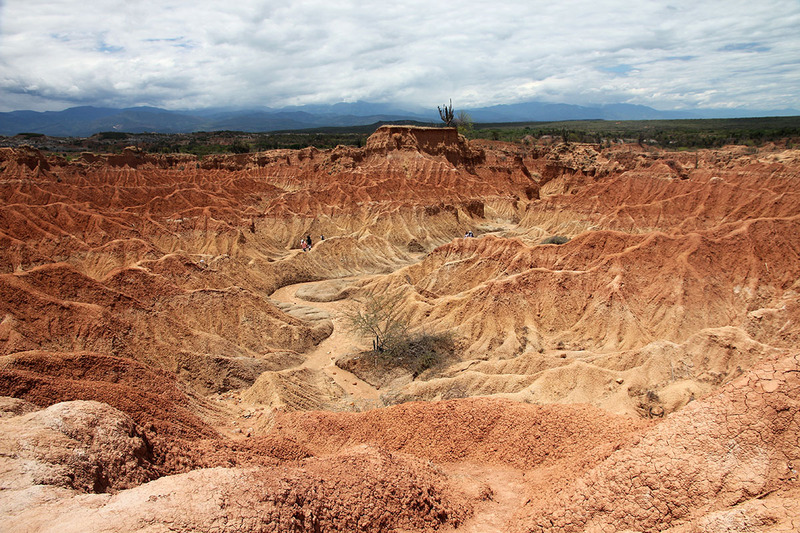 In the south, you’ll find the capital Bogota, Colombia’s coffee region of Salento, the city of Cali (famous for its obsession with salsa), and Tatacoa, a desert where years of erosion have created some unusual landscapes. The Amazon at the heart of Colombia is super remote and even home to some uncontacted indigenous tribes. It’s also where armed rebels are reportedly still present, so these are not usually areas suitable for tourists. If you want to go into the Amazon, flying to Leticia is the only mainstream option. Leticia has border connections with Peru and Brazil. If you’re flying to Colombia directly, you’ll find an increasing number of direct flights to Bogota from many points around the world. Colombian airline Avianca connects with Madrid, Boston, Fort Lauderdale, London, and many others. 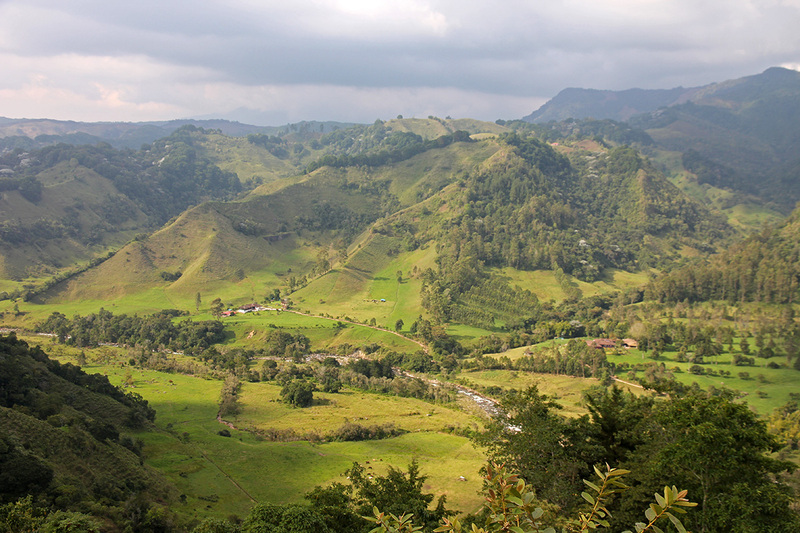 If you’re on a regional trip, keep in mind that it is not possible to enter Colombia from Panama overland. Well, you theoretically could if you were some crazy Bears Grylls style survivor, but the so-called Darien Gap has no roads and is brimming with smugglers and jaguars, so it’s broadly considered a no-go area. 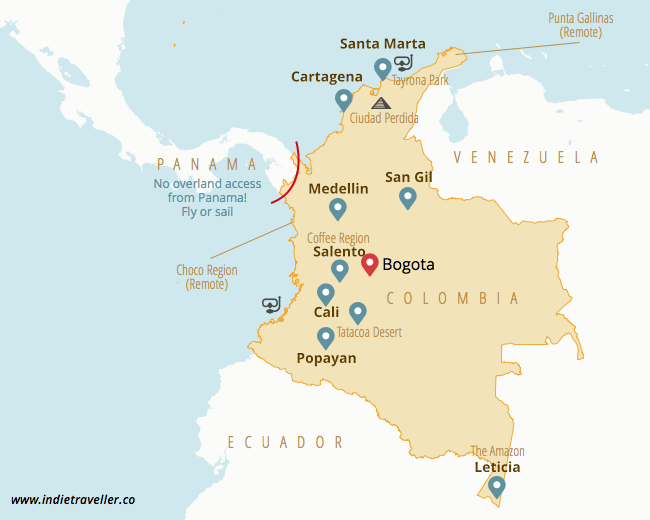 If you want to travel between these countries without flying and have at least 4 or 5 days available, I recommend sailing from Panama to Cartagena or vice versa as this is a phenomenal experience that costs about as much as a one-way flight. These are just a few of the best places to see in Colombia. They’re roughly in a north to south order. Cartagena is lovely. While its modern parts reminded me faintly of Miami with its high-rise condos along the waterfront, the city also has one of the prettiest colonial town centres in South America. Picture lots of quaint houses with flowers hanging from balconies and leafy squares where people play chess, and street vendors sell bananas and other fruits. The walls and fortresses that ring the town are also worth a wander, offering some vantage points into the cobbled colonial-era streets below. Budget travelers should know that photogenic Cartagena is essentially the tourism crown jewel of Colombia and so prices are significantly higher than elsewhere. There is a small backpacker district around Calle 34 just outside the old town with good budget options. Playa Blanca is a beautiful beach about an hour’s drive outside the city; it’s much better than any of the city beaches, so it’s worth the trip! Okay, I won’t pretend this isn’t a silly tourist trap, but it’s too much fun not to mention. A day trip from Cartagena, this mud volcano lets you swim inside it. 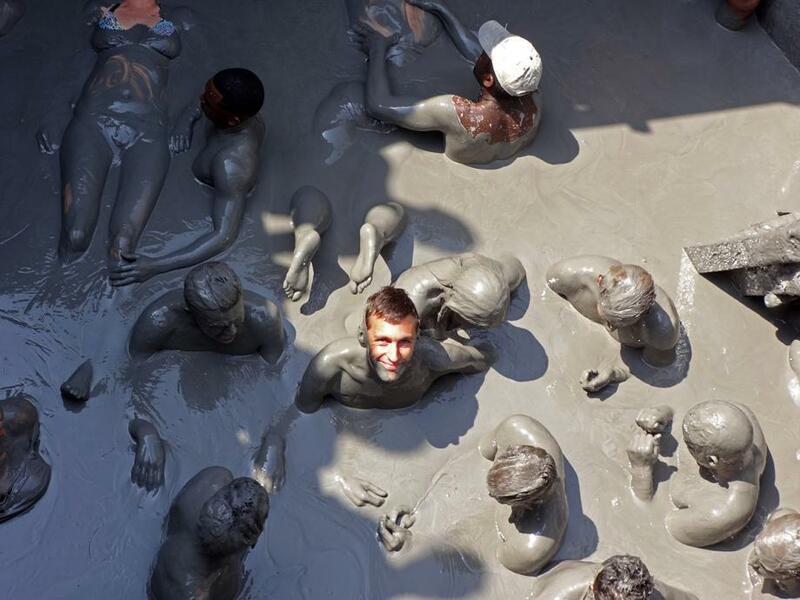 The viscosity of the mud makes you float on top of the surface like you’re swimming in the Dead Sea. Sometimes you keel over and have to paddle like a dog to find your center of gravity again. Look, whatever… just go do it. It’s hilarious. The Lost City Trek is one of the best hikes in South America. It takes 4 to 6 days departing from Santa Marta. 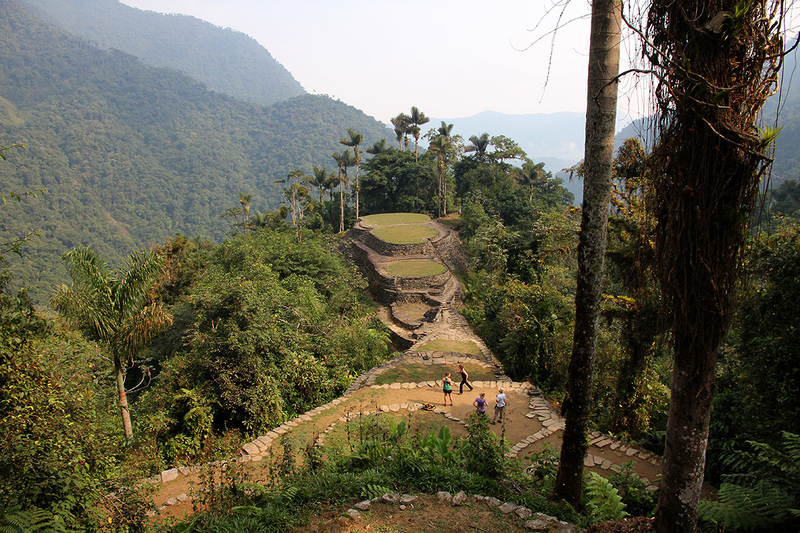 The trek runs through lands owned by the indigenous Kogi up to an ancient pre-Colombian city atop a mountain. 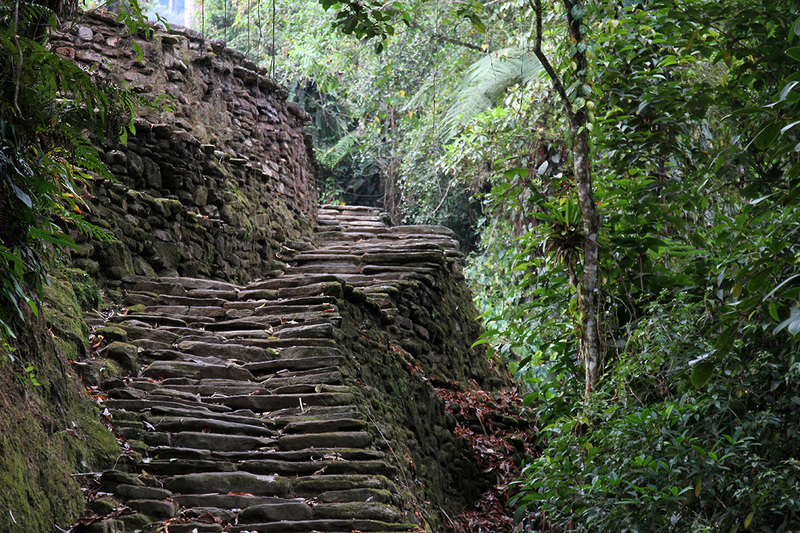 The ruins may not exactly be Machu Picchu, but they are not truly the point of this hike. The destination is just an excuse for the journey, which meanders along clear river streams and through lush green jungles. You sleep in hammocks or bunks in primitive lodges—they’re just some roofs without walls, really, so you’re essentially sleeping out in the open save for your mosquito net. At night you’ll fall asleep to an orchestra of crickets, frogs, and monkeys. It’s quite simply one of the best experiences I’ve had in all of South America. Is a 5 day hike a little too long for your itinerary? Then you’ll find some shorter walks in Tayrona Park, in the northeast corner of Colombia. While I didn’t do the 3-hour hike through the jungle to the ruins of Pueblito, it’s been tipped as a cheaper and shorter alternative for those with limited time. 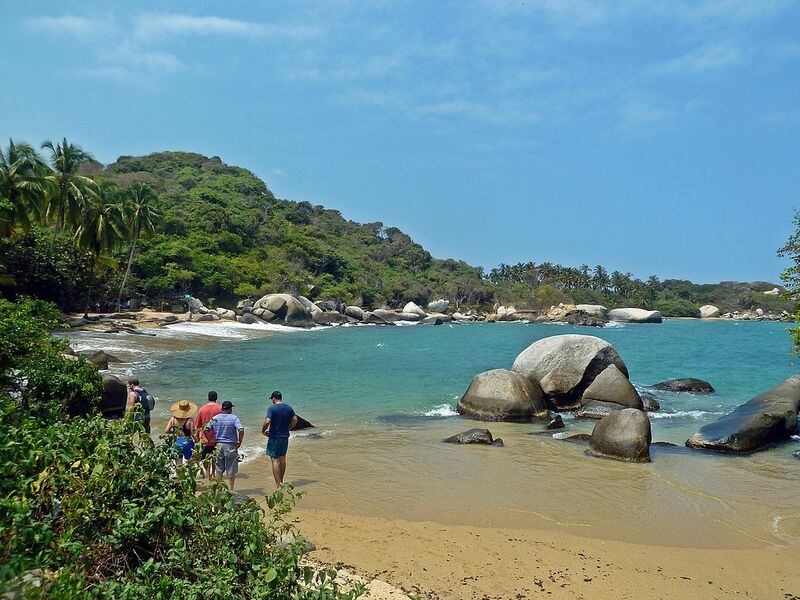 Tayrona Park itself has several beautiful secluded beaches and a chance to see a lot of wildlife. You can camp overnight inside the national park in Cabo San Juan and sleep in a hammock or tent. Some budget travelers do complain about the somewhat inflated prices for food and accommodation inside the park, though realistically you can overnight in Tayrona for as little as $20. It’s best to book your hammock or tent in advance though as spaces are limited. San Gil in the Santander region is Colombia’s capital of adventure sports. Go there for rafting (up to class 5 rapids, i.e. there’s some crazy rafting here), paragliding (starting at $30), kayaking, canyoning, mountain biking, and more. I did some tandem paragliding here which was great fun, though I did later realize this was at Curtiti which has mainly some hills and farmlands and not over Chicamocha Canyon, which has much more spectacular views. It’s also possible to paraglide over Medellin, which I imagine would have given some great views as well. This blog has an overview of all the adventure activities available in San Gil. 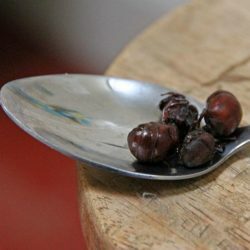 The town of San Gil is worth having a look as well, which has some nice botanical gardens and vendors selling plates of fried giant-bottomed ants. They’re crispy and salty like popcorn, and they’re a local delicacy. Barichara is a town in northern Colombia known for its cobbled streets and colonial architecture. It makes for a nice day trip from San Gil. 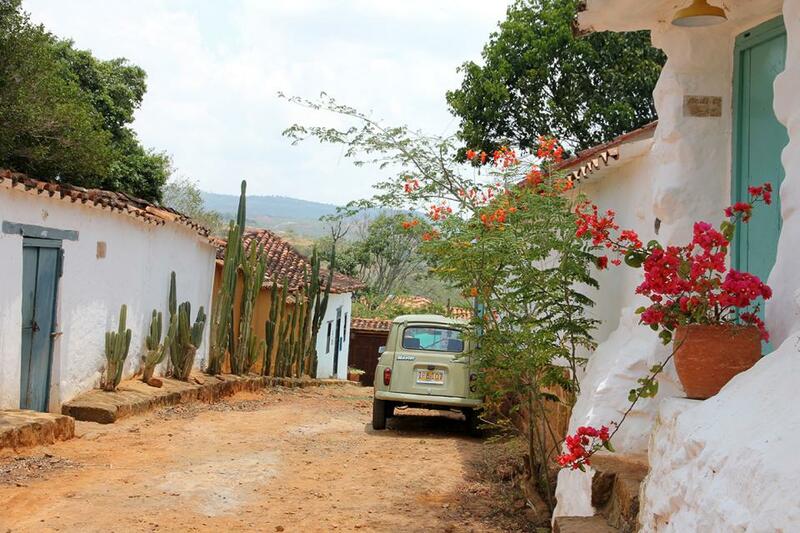 You’ll find some old churches and cemeteries, a few small museums, and a historical walking trail that takes about 2 hours and connects the picturesque towns of Barichara and Guane. Many big cities in Latin America can be a let-down as they tend to be chaotic and overwhelming. Medellin, on the other hand, has a real cultural heart that’s easy to love. It may look grungy at first glance, but give it another look and you’ll find a fascinating city to explore. Its urban renewal over the past few years has been earning Medellin many international innovation awards, with squares that were once the sites of cartel battles now becoming thriving public spaces, one of them doubling as an open-air mini-museum featuring sculptures by Fernando Botero. I recommend checking out the Plaza Botero, the Minorista market (a traditional farmer’s market), and Parque Lleras at night (a fun nightlife area where people spill out from the bars into the streets and patios). 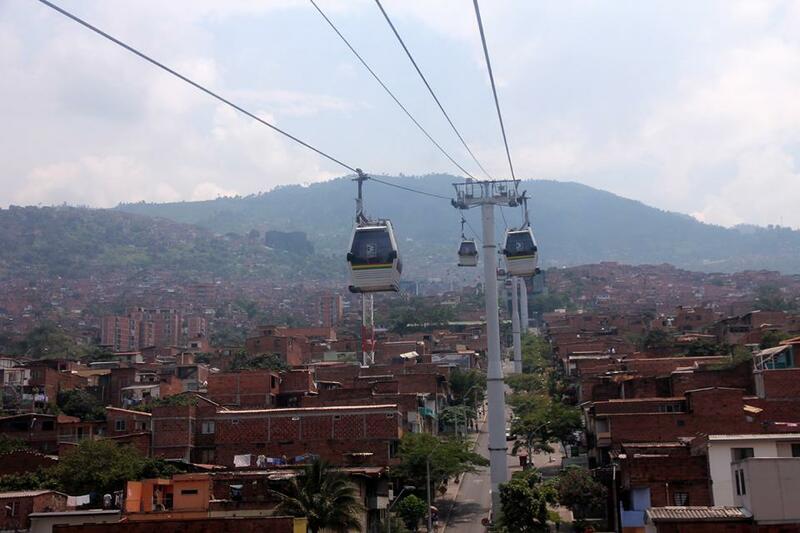 Be sure to ride the metrocable up to Parque Arvi, go to the Joaquin Antonio Uribe Botanical Garden, and visit the Medellín Museum of Modern Art as well. I can also highly recommend going on a tropical fruit tasting tour. If you’ve got the chance to see a football match in Medellin, be sure to take it. The level of passion from the supporters is sure to leave an impression. Things can get very mosh-pitty when they score a goal though, so go with a little group if you can, and be sure to watch your pockets. 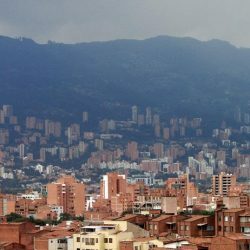 Many travellers stay in the Poblado area of Medellin, which is a high/middle-class residential neighborhood with a good reputation for safety, and within walking distance of the Parque Lleras nightlife as well. You’ll also find a high concentration of hostels and guesthouses in Laureles (and the adjacent Libertadores), which has fewer hipster cafes than Poblado and more of a local vibe. I enjoyed staying in both these neighborhoods. 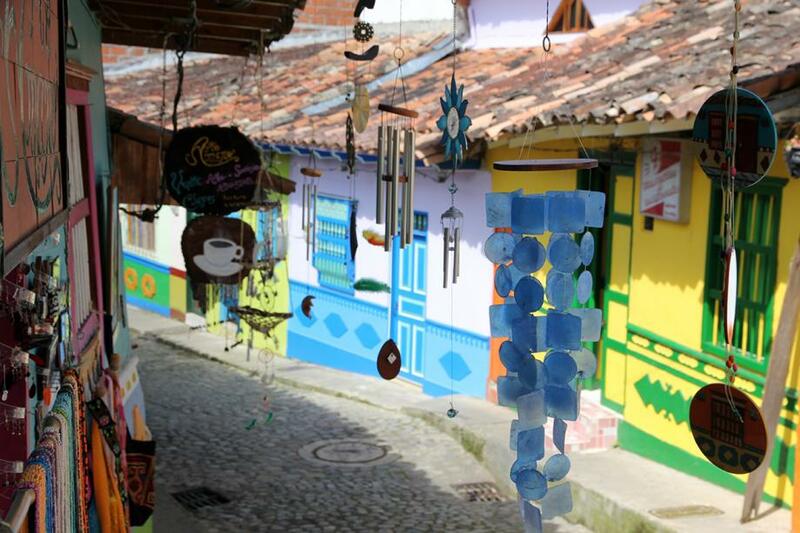 If you want to learn more about Medellin’s past, go on the Real City tour. It’s one of the best city tours I’ve done anywhere. It tells you in very emotionally engaging ways about the history of the city and the country. After this tour, you’re guaranteed to feel a new emotional connection with Colombia and a deeper understanding of what’s happened here over the past few decades. 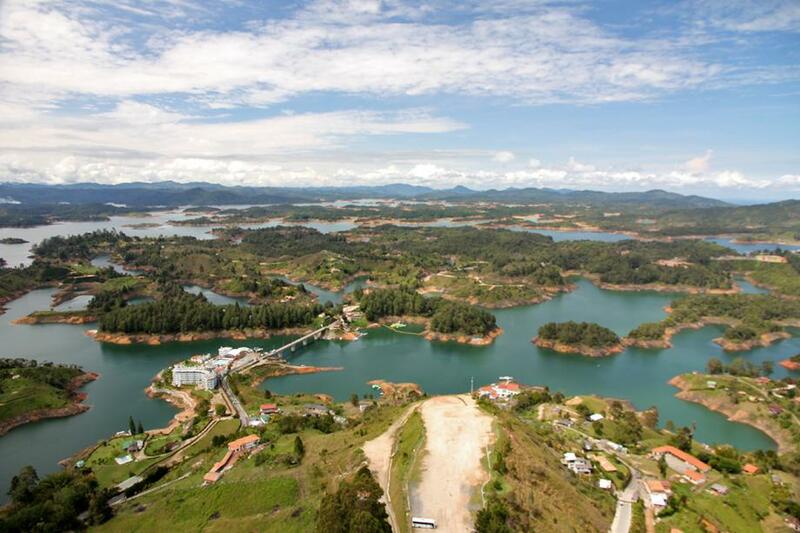 A great day trip from Medellin (perhaps even warranting an overnight stay) is the historical town of Guatape, famed for its colourful houses with beautifully sculpted depictions of village life adorning the lower half of every facade. There are some arts and craft shops, and some historical colonial-era churches. But the main highlight is Piedra del Peñol. This unusual rock formation was once worshipped by the indigenous tribes and given the imposing look of this monolith it’s easy to see why. You can climb stairs to the top from where you have a great view of the surrounding lakes. 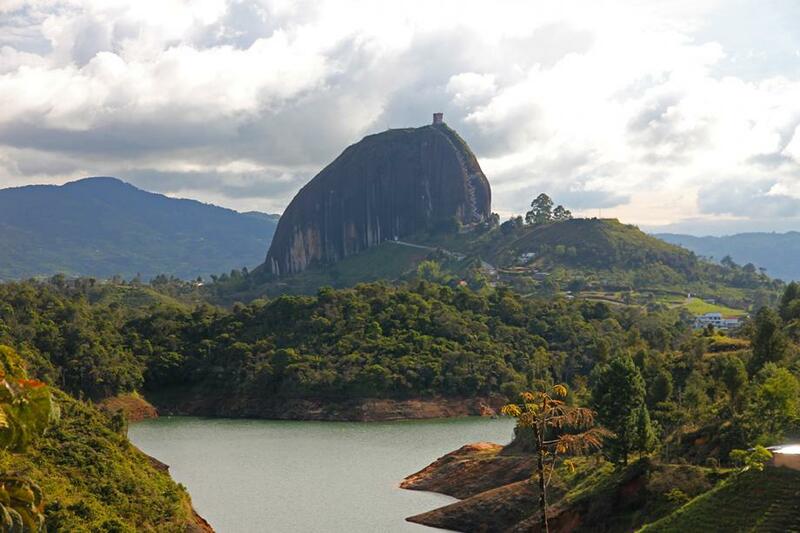 Guatape is a bit of a resort town for Colombians, so around the rock you’ll also find a range of tourist activities such as boat tours around the lakes and extreme sports such as hang gliding. The capital of Bogota has a lot of things to see and do, but I’d recommend doing several things in particular. First, go on a Bogota bicycle tour. You’ll be able to cover a lot of ground and gain a greater understanding of the city. You’ll see things you usually wouldn’t see: for instance, why are all these shady-looking men loitering outside this one particular building? Turns out they are grey-market emerald dealers trying to off-load their gemstones to the highest bidder. You’ll see some of the city’s most eye-catching street art as well, and get to sample unusual tropical fruits at the local market. 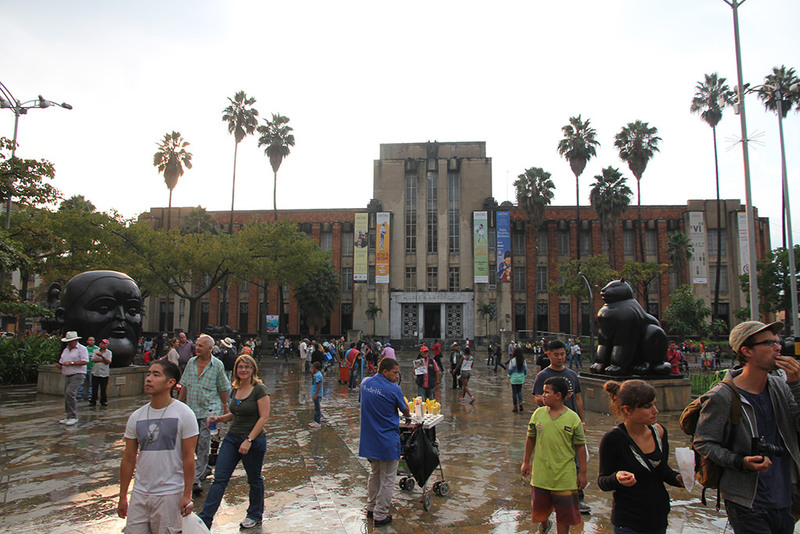 Bogota also has a large number of museums. 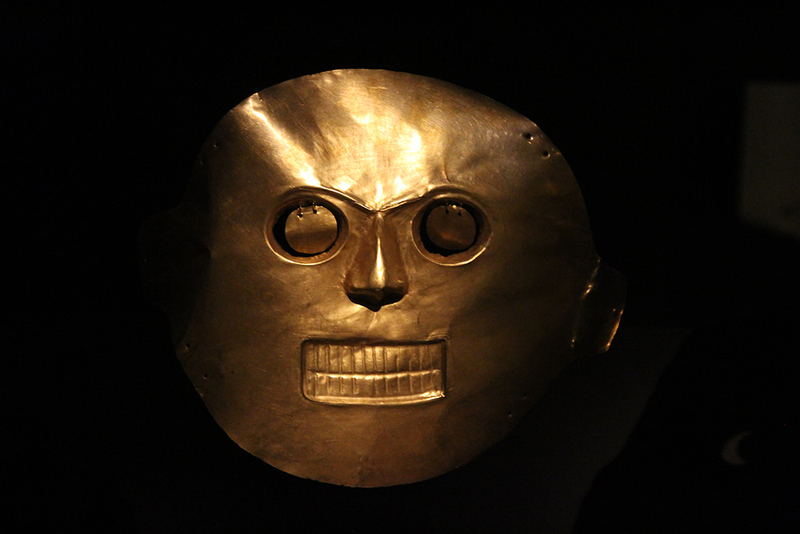 Don’t miss the Botero Museum and the National Museum, and especially the Museo de Oro (Gold Museum) which has a stunning collection of pre-Columbian gold artefacts. Finally, it’s worth taking the cable car to Monserrate Mountain, from where you get a superb view of the city below. 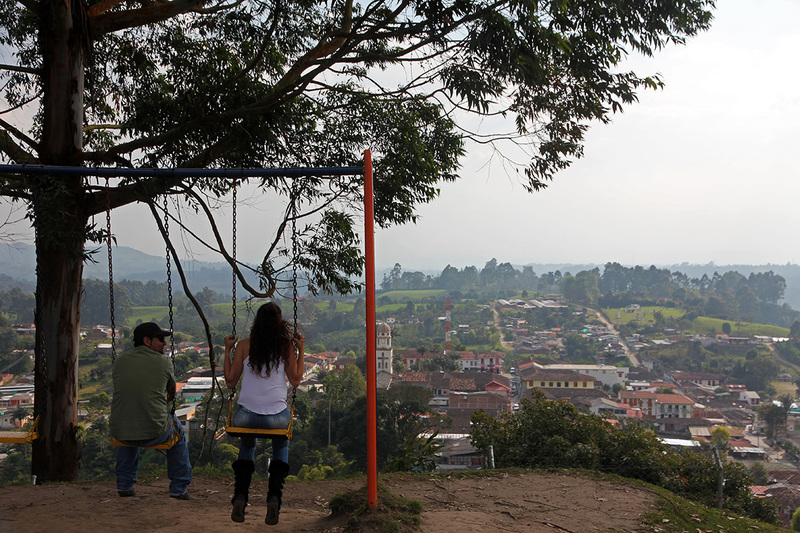 The small town of Salento in Colombia’s coffee region is a great spot to stay for a few days. Tours of some of the local organic coffee farms can educate you about the coffee growing and roasting process, though there is much more to see and do in Salento. After spending time in the cities, you may just wish to wind down for a while in this slow-paced rural place. 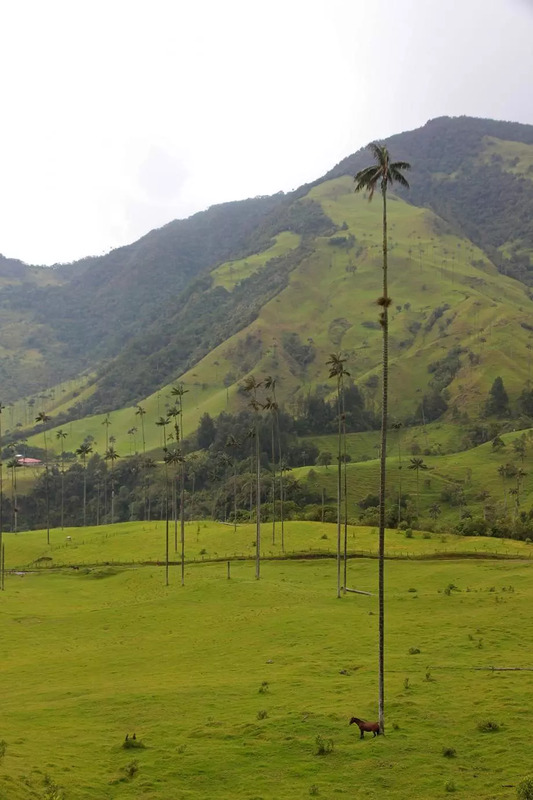 Make sure you hike to the Cocora Valley, home to some gasp-inducingly tall wax palm trees. Growing up to 70 meters, they’re claimed by some to be some of the tallest in the world. The hike starts along a mountain stream, crosses over some old swing bridges, passes through some cloud forests (don’t miss the hummingbird sanctuary), before finally reaching the valley with the imposing palm trees. The area is also a favorite place to go trekking or horseback riding. 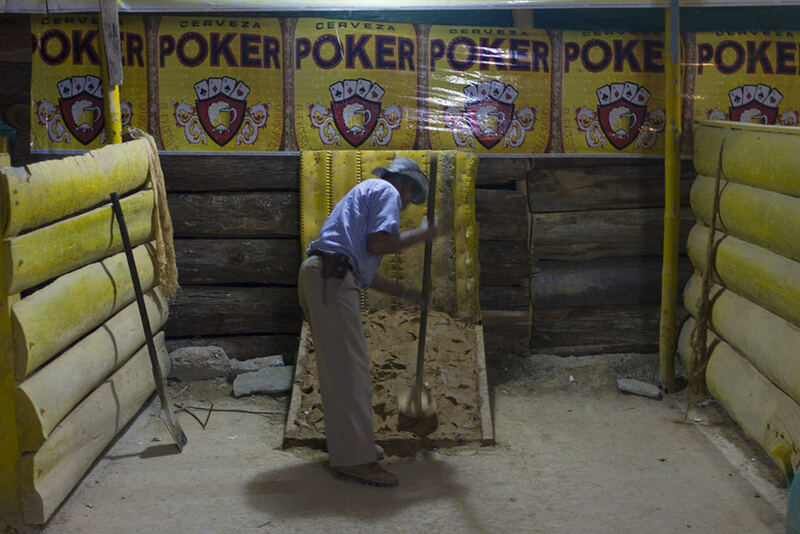 A fun thing you can do in town during the evening is to play Tejo, a traditional Colombian game that involves throwing metal balls at a target lined with gunpowder. It’s good explosive fun! 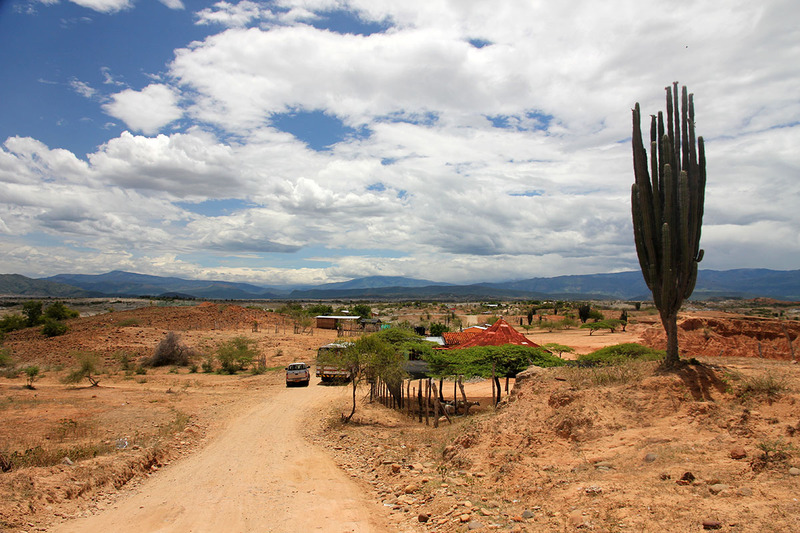 The Tatacoa Desert, not far from the southern city of Neiva, is one of the hottest places in Colombia. It’s remote and has only a few places to stay (and no internet), which makes it all the more worth it. 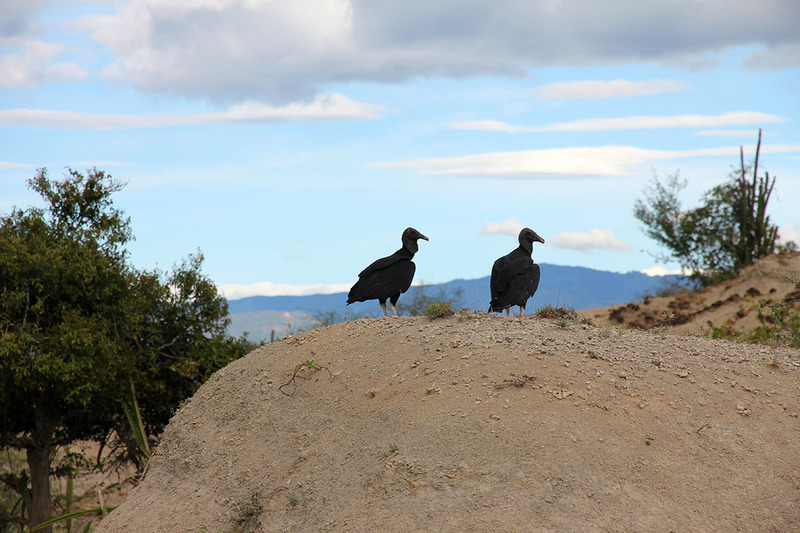 You’ll find yourself in the middle of an arid expanse, home of vultures and eagles, with the start of the Andes mountain range off in the distance. A labyrinth of rocky canyons formed by years of erosion is the main attraction here — it’s a surreal little place that’s fun to get lost in. Due to the low light pollution, it’s also a perfect spot for stargazing, either by yourself perhaps while sitting around a campfire, or at the local observatory. The resident astronomer gives presentations every night, which were unfortunately hard for me to follow with my limited Spanish. But he did say “Goopitar” a lot (I think that was Jupiter), and he probably said some things about the expansion of the universe. Either way, I got to see the rings of Saturn through a telescope, which was totally amazing. Colombia has a growing network of backpacker hostels, and unless you go well off the beaten track, you’ll surely be able to find hostel-style accommodation. 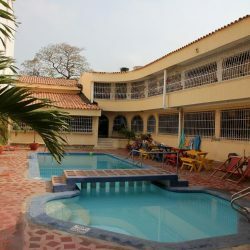 Below are a few recommended ones, but you can also browse all Colombia hostels. The top-rated hostel in the capital. Quiet (social but not party) and in a safe neighborhood. Has two locations in the popular La Candelaria barrio. I stayed in the second house which I think is the best of the two. Friendly, homely hostel in popular Poblado area. Has on-site Spanish school & relaxed atmosphere. Also in Poblado. Features a pool, hammocks, and bar. More party oriented than Black Sheep. Cozy hostel with narrow central courtyard making it super easy to meet people. Dorms and private rooms. Fun hostel with a unique twist: its building used to be a cartel headquarters. Great hostel with bonfires at night & restaurant sources its ingredients from the on-site vegetable gardens. Hotels in Colombia aren’t quite so dirt cheap as in Bolivia or Ecuador, but you can easily find a decent room for about $30 a night. Below are a few picks that have an authentic character and good vibe. Guesthouse with vintage decoration, garden with BBQ, $30/night. In Poblado area, with outdoor pool and fitness center. Double rooms start at $20. Local hotel inside the Old Town, and a 10 minutes walk from the beach. A traditional posada with rooms starting at $30/night. If you are in Colombia end of February / early March be sure to go to the carnival in Barranquila. It’s the second biggest in the world after Rio. I keep getting questions about this as understandably it’s something that’s still on people’s minds. The short answer is that the safety situation in Colombia is, broadly speaking, not so different from other countries in Central- or South America, and that things have improved a lot in recent times. Colombia travel guides from at least a decade ago may still warn of kidnapping risk or drug gang violence but modern editions are free of such warnings. Of course, that’s not to say that you shouldn’t apply common sense, such as taking taxis at night and not wandering idly into sketchy neighborhoods on the outskirts of Bogota or in Medellin’s hillside barrios. Statistically, Colombia is way safer than it was in the 90ies, though the city of Cali in particular remains in the worldwide top 30 for most murders per capita. This relates to the criminal underworld and may not affect tourists whatsoever, but it probably still speaks to the overall safety level and so you might want to be a bit extra careful in Cali. Still, you won’t be facing Pablo Escobar (he’s long dead now). On a personal level, I felt very much at ease in Colombia and so did every traveller I met. It’s still rough around the edges, but the security situation (especially for tourists) seemed better to me than in Honduras, Guatemala, Brazil and even South Africa, subjective as such impressions may ultimately be. Petty crime is of course a reality as anywhere, and be sure to consult further info if you’re going into remote jungle areas far off the tourist trail. 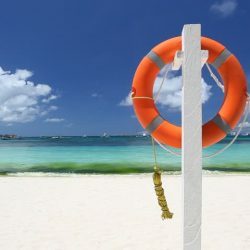 It’s also always a good idea to get travel insurance, in case of theft or emergency. Colombia is not an ultimate cheapie like some other Latin American countries (e.g. Guatemala, Nicaragua, Peru or Bolivia). However, it’s also not as expensive as some others (e.g. Costa Rica or Brazil). While everything depends on your personal travel style, I recommend budgeting at least around $40 a day. Of course, spend more on things like entertainment or better accommodation and that could rise to $50 and beyond. A hostel dorm bed will typically set you back $10 – $15. The higher end of that range is mostly found in Cartagena as it’s the prime tourist spot. Food can be very cheap if you eat in local restaurants – a daily set meal typically with soup, meat and rice, and fried plantains will usually sell for as little as $3-5. Food in urban centres or a la carte meals are closer to $5-10. A domestic beer costs about a dollar. Supermarkets are easy to find in the cities, and hostels usually have kitchen facilities available. In Colombia as I write this, I’m happy to report your tips are still 100% up to date 4 years later! 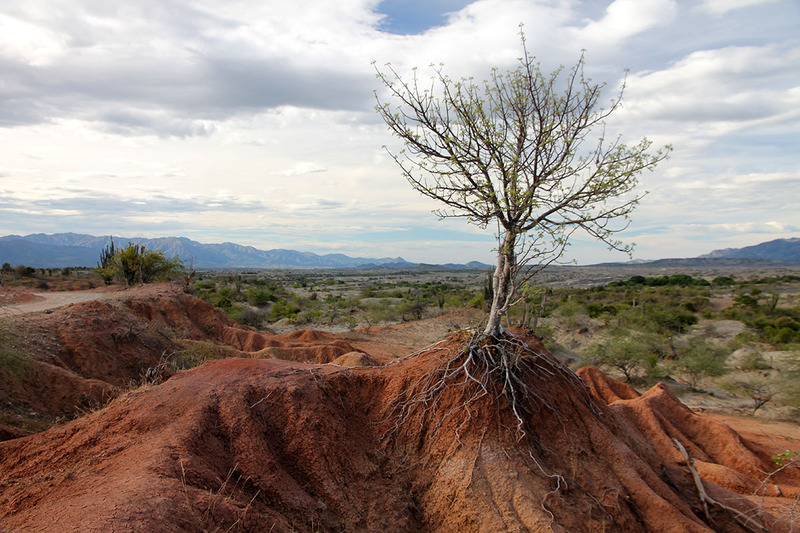 I particularly appreciate that you included Tatacoa as an off-the-beaten-path recommendation. Hey Chris, that’s a relief as I always worry about things changing! One of these days I’ll no doubt return but in the meantime it’s good to know I’m not too off the mark. 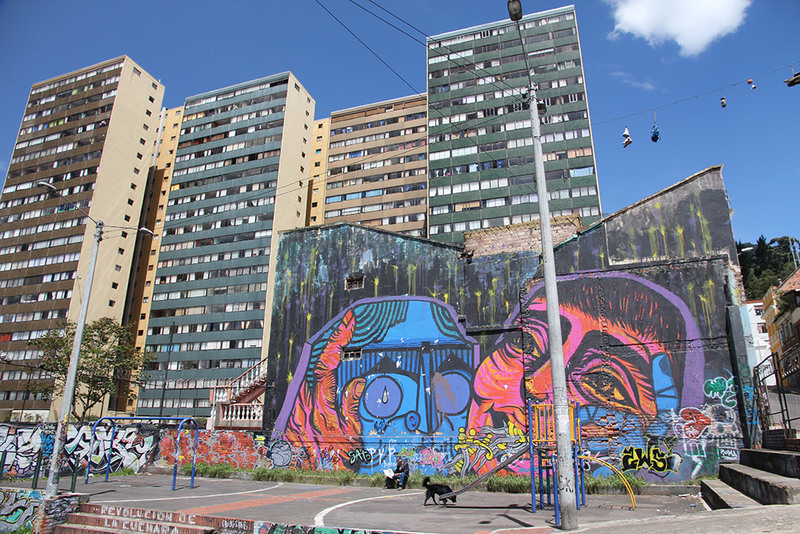 That’s a really great resource on Medellin. Love your posts on Venecia and other places as well! I have a few questions in regard to Colombia. 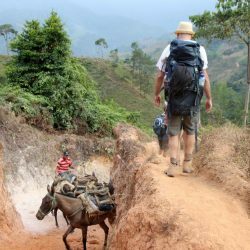 Theres currently a travel advisory for Canadians for Colombia, do you have any experience with this when you went? I’m also planning on travelling in May, which I heard is the rainy season, what month did you visit and have you heard of anyone who travelled there in May? Also, Im having a tough time fitting Medellin into my itinerary, how did you travel to and from Medellin? Hey Karley. Yes – I went to Colombia when it had a travel advisory (which was essentially the same as now). This is normal for many countries. It’s good to read them so you’re aware and can avoid major trouble spots, but they can also make you way too scared as they only focus on the negatives. You can still travel responsibly along the tourist trail in Colombia. Don’t know what it’s like in the rainy season, sorry! I took a bus to Medellin from San Gil, and left Medellin by bus to the coffee region. Hi Marek, Im loving the page!! Im planning on being in Cartegena by the end of January/early February after travelling down through central America. Once there, how long would you recommend it takes for me to travel south roughly as above? I’ll be on a tight budget as I plan to go into Ecuador, Peru and Bolivia too. Hey Joe. It’s always difficult to say as it depends of course on how much you want to cover (and how long you’ll stay in each place). You could do a quick run to the south in 2 weeks, or you could spend a month and include the Ciudad Perdida trek, stay for a while in Medellin, etc. Perfect, thank you, I was looking at possibly three weeks so it seems to fit nicely. While im on the topic any recommendations of where to spend xmas in central america? I arrive in Belize on 16th December. Hi Mark. A really great article! 1 question: How easy is it to catch buses from one destination to the next? Do you need to book in advance to gusrantee a seat? Any bus companies to look for/avoid? Hi Lee. Not difficult at all. Typically at a bus station you find ticket booths of many different bus companies, often with several serving the same route. I usually just showed up. Booking in advance might be a good idea though on special days like Easter. Love the article! I definitely took note of some of the things to do and see. Justin and I will go there in November– we can’t wait! Thank you! “Playa Branca is a beautiful beach about an hour’s drive outside the city”… Did you mean Playa Blanca here? What can you tell to a mother worrying about … drugs, kidnapping and… ? European mother of a daughter travelling. She is adult, but a mother is sill a mother!! Hi mother 🙂 It’s an understandable concern as Colombia used to be in the news a lot for these things! What I can say is that kidnapping cases peaked in 2000 and dropped by 95%+ since. Drug trade still exists but (unlike the 90ies) it’s gone underground and is invisible to a tourist. To be safe, tell your daughter to stick to known travel destinations listed in travel guides and to only take official licensed taxis in the cities. The places where travellers normally go are quite safe nowadays. Great Blog! 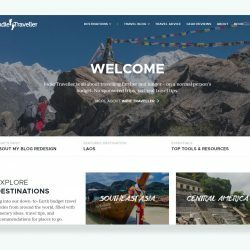 I am heading to Columbia in about 7 weeks with my sister and we were wanting some advice on travel plans and the best way of travelling across the country/whether we need to book flights far in advance and what airlines to use. For domestic flights you should be OK booking just a few days in advance, if you want your plans to stay flexible. Viva Colombia is a popular domestic airline. Avianca and LAN are also worth checking out. Really nice article. Just curious what software/widget you use to make your map? Excellent article! Thank you for all the practical tips. I am interested in travelling around Peru and Colombia for 5 weeks. What is your suggested amount of time in Colombia and suggested travel route? You’ll probably want to have a flight from Bogota to Lima in your plans somewhere, so in that case I’d suggest going around Colombia for about 14 – 20 days, then heading to Lima (as you can do the typical southern Peru circuit including Machu Picchu in about 2 weeks, give or take). 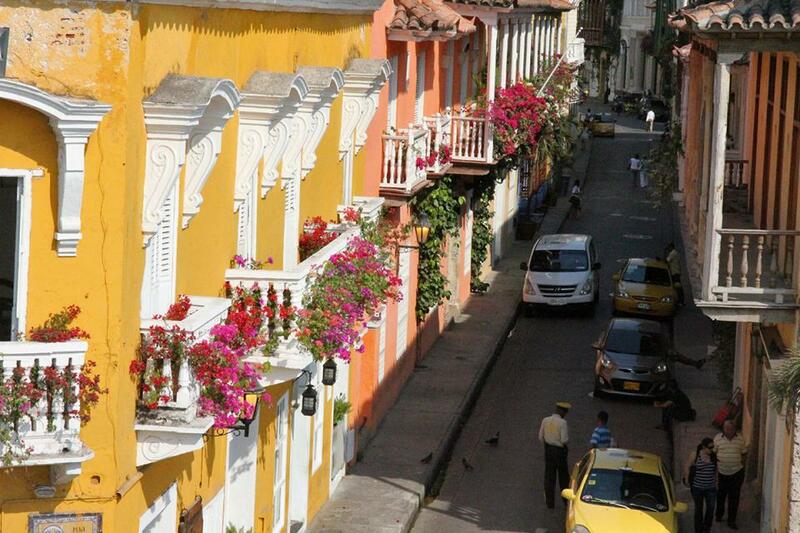 Places like Cartagena, Medellin, and the coffee region are popular in Colombia. Best route depends 100% on your specific interests really! Surely missing San Félix, located in Salamina, Caldas. 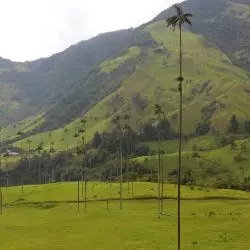 There you can spot a lot more wax palm trees than in Cocora Valley. Also, the town (Salamina urban area) is gorgeous. Nice article! Hey, when you were in Colombia, did you have to book Hostels in advance, or did you just show up and ask for a bed? Nice summary, Ballpark figure of 40$ A day is too low. You’ll be hard pressed to find places to stay at 40$ a night in Colombia, especially in the cities. Cartagena old town is expensive and although you can maybe stay and eat that cheap in the cities, those areas are not recommended for tourists. 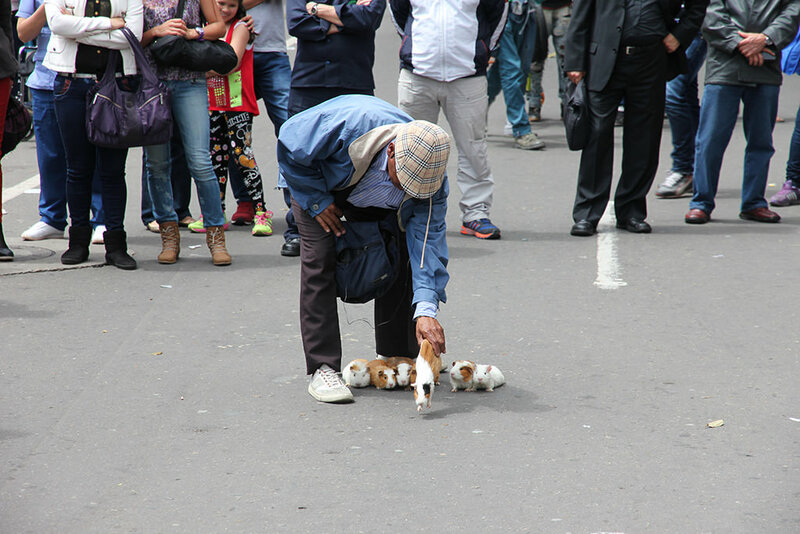 Bogota for example has six districts ranging from the most unprivileged in the South to the G district in the North which is basically like walking in the upper westside. I suggest Hostel Breezas in Tayrona (which is a must visit). 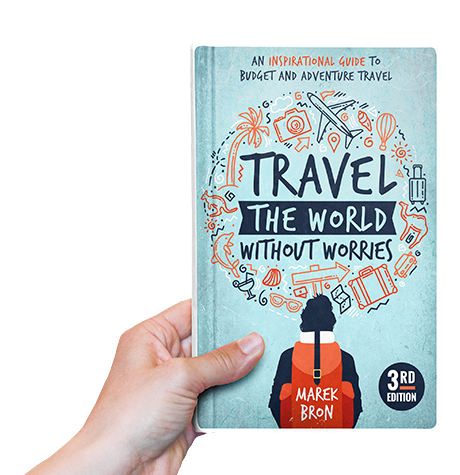 Hey Marek, This is a really useful article and it is great that you are getting the word out about this amazing country!!! I am the owner of the Purple Monkey Hostel in El Poblado, Medellin and we are consistently rated on Hostelworld as the first or second best hostel in the city. It would be great if you could feature us on your website! You can find us at http://www.purplemonkeyhostel.com Thanks!!! Depends on how much time you have! You can stay a whole week and have plenty of stuff to do, maybe even longer. Why not play it by ear and stay or leave depending on how you feel? Hello! Love the blog. I am heading to South America in probably about 2 weeks. I was going to fly to Columbia then go down to Peru to Bolivia to Chile. I have never spoke spanish so i wanted to take a course in bolivia bc that is where you said it was the least expensive. But I am also wanting to start off in columbia for the cost savings on a plane tickets. 2. do you think columbia is an easy place to meet other travelers? or is peru a better place to start off your south american travels? Hey Rachel. I already sent you my reply via email, but just to repeat it here for others to see: I think if it makes sense for you to start in Colombia, you should simply start there. A week of Spanish lessons in Colombia should cost about $150-$200 (if I recall correctly) which may be more expensive than Bolivia, though for one week it wouldn’t be worth changing your travel plans for. 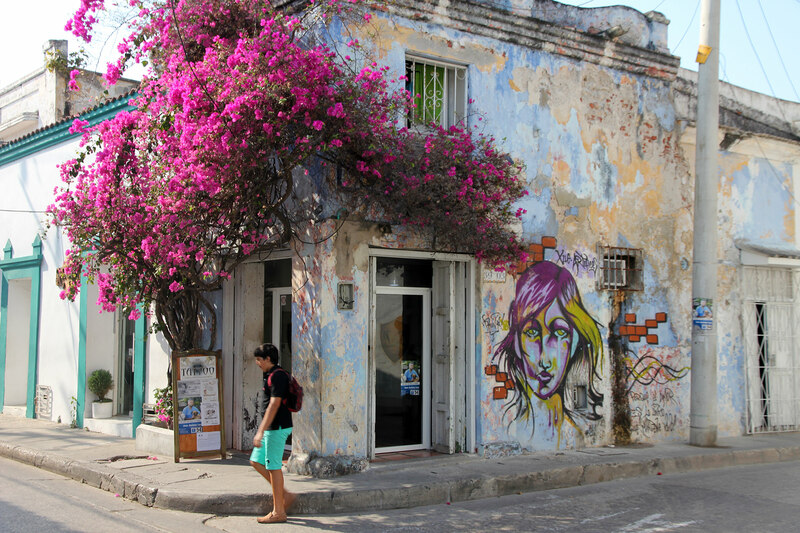 If you start in places like Cartagena, Medellin or Bogota and stay in backpacker hostels it’s very easy to meet people. Both Peru and Colombia are great starting points, so I don’t think you can make a wrong choice here. Good luck! Yeah there are bunches of cheap courses throughout the country, especially right now that the dollar is strong. I believe most will be in Cartagena, Bogota, and Medellin. 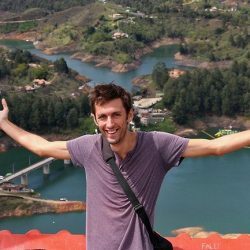 I am studying at Colombia Immersion Spanish School in Medellin right now and highly recommend. 500.000COP per week and they have cheap lunches, tours, and events. ah and the site is http://www.colombiaimmersion.com/ if you want more information. Excellent article! I’m heading to the Caribbean coast next week and cannot wait to what it has to offer. Hi Mark, nice entry. We loved traveling in Colombia, the people were amazing and like you said there is so much diversity! We found it to be cheaper than Bolivia, our budget was $20.50 per day for 30 days, including rafting and paragliding. The avg hostel price was less than $6 per night for a dorm bed. We have a new blog about our budget travels around the world. 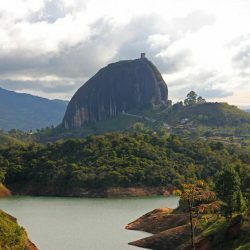 What we did in Colombia, were we stayed and what we paid can be seen at http://stingynomads.com/colombia/ Safe travels! That’s a great guide to travelling in Colombia on a budget. I think your daily spend is probably a bit lower than most people, so well done. 🙂 I’m surprised you managed to spend less than Bolivia… this should be a good example for others to follow. That’s a great article and very informative on Colombia. I think more emphasis should be put on Medellin. It is such an important city in Colombia with the countries first Metro system and it’s people are very proud of how far their city has come. Area’s like Laurleles are excellent area’s to hang out other than Poblado. Envigado is also a great suburb for Spanish Classes in Medellin. I highly recommend Colombia Immersion. They mix classes and an immersion environment where everyone lives and learns together. You haven’t been to Argentina? I’ve been to Argentina (and loved it), just haven’t gotten around to writing about it much yet!